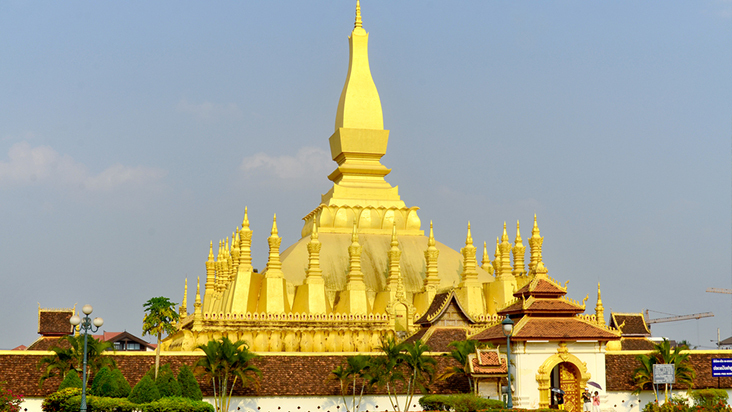 Experience the Highlights of Laos as you travel to Vientiane and Luang Prabang. 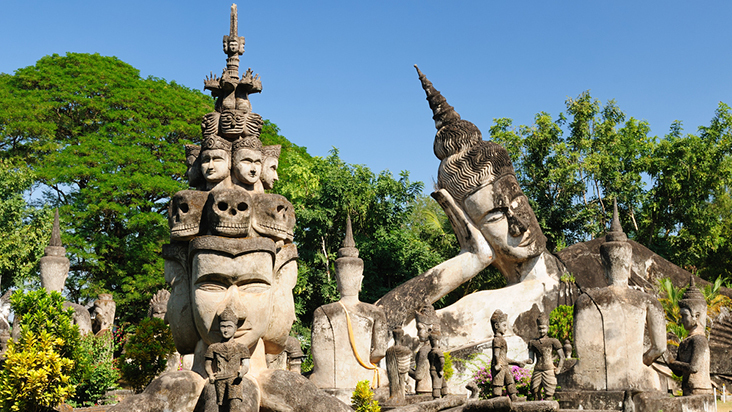 Starting in the sleepy riverside capital of Vientiane with its alluring monuments and leafy boulevards, discover the ancient atmospheric temples, the golden spires of Pha That Luang, the bizarre sculptures in Buddha Park and the beautiful textiles of this region. Travel to the enchanting town of Luang Prabang with its stunning colonial architecture, ornate monasteries and colourful markets. 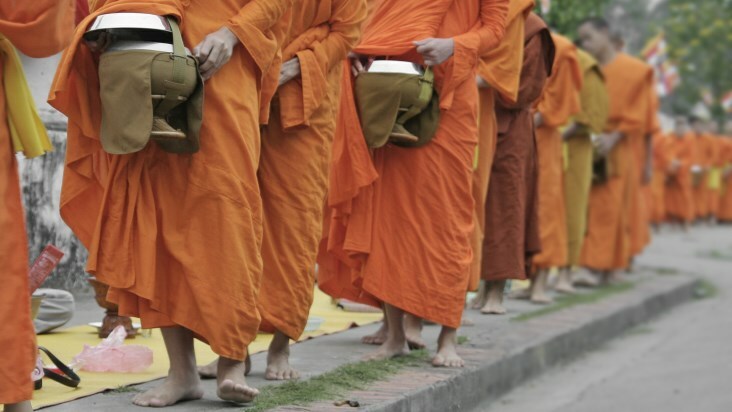 Rise early to witness the ancient dawn ritual of saffron robed monks collecting alms, discover the hundreds of Buddha sculptures in Pak Ou Cave, visit the spectacular Kuang Si Waterfall and climb Phou Si hill to watch the sun sink slowly behind the Mekong River. In the afternoon visit the weaving home-studio of Mrs Carol Cassidy, an American textiles expert who arrived in Vientiane in 1989 as part of a United Nations project to promote traditional weaving. Carol was so impressed by the quality and diversity of weaving throughout Laos that she set up the Lao Textiles Studio in Vientiane. Today the studio employs over forty local weavers who create naturally dyed and woven silk pieces reflecting traditional Lao designs. Learn about the weaving techniques or make a purchase at the gift shop to help support the cause. 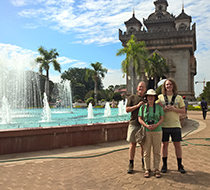 Enjoy free time to explore Vientiane for the remainder of the day. After breakfast accompany your guide to the former Royal Palace, now the National Museum. 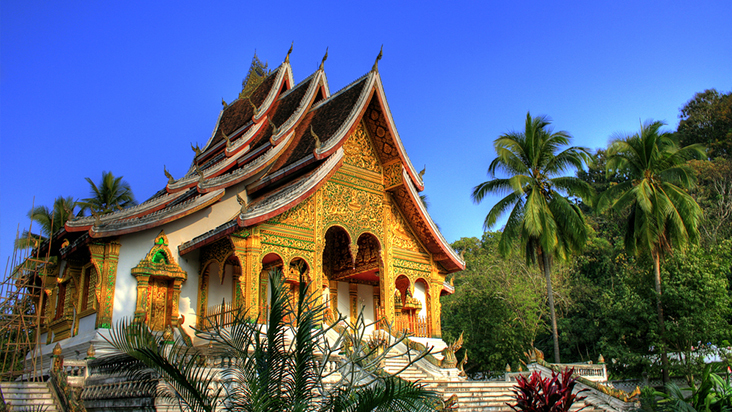 The palace was built in 1904 and framed by an avenue of Palmyra palms, blending traditional Lao with French styles. The museum houses precious exhibits that used to be possessions of the Laos royal family. The royal family’s former residential quarters have been preserved as they were when the king departed in 1975. The royal palace car collection is displayed in a separate outbuilding. 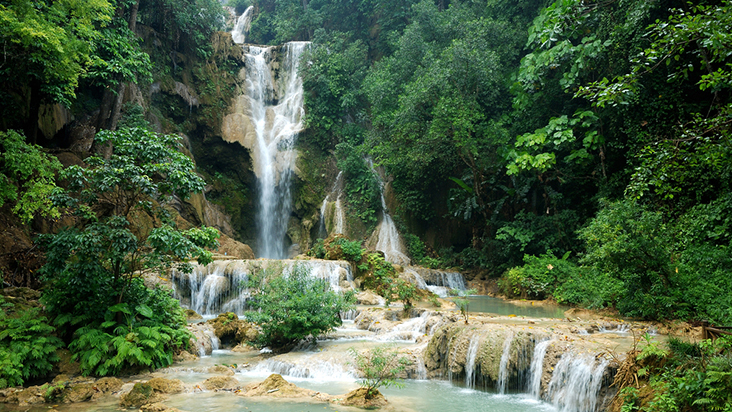 For the remainder of the afternoon, enjoy free time to explore Luang Prabang. 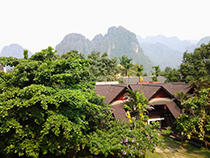 This trip package includes 1 internal flight (Vientiane - Luang Prabang ) which retails at about 200AUD.